A user of the form is claiming that she is being 'bombarded' with auto-responder emails from one of our Jotforms. Our submissions inbox shows that she has submitted exactly the same details 9 times over the last 12 days. She is getting very cross with us and could cause reputation damage if we can't resolve this asap. 1. Is it possible for a Jotform to automatically resubmit itself? - if yes how and how can we stop it? That is possible when the user left or closed the browser when she was on the thank you page. When she has the browser to open from last session, it will prompt her to confirm a submission and it will again submit the information from the last time, resulting to a duplicate of the last submission. 2. In the preferences window, click "Advanced" tab and Select the "Unique Submission" option you prefer. I would suggest to use Check cookies only, this will prevent resubmission of the form from the same browser. 3. Save the form changes by clicking the "Save Changes" button from the form builder. I have turned on unique submissions (cookie only) in the hope that it stops the problem. However, the situation as you describe it isn't the same one the user is facing. There have been 9 submissions over a 12 day period. That's the only thing that can happen to the user. With the browser's Continue where you left off feature, everytime she closes the browser and open it, it will prompt her to continue with the submission. This is because there is no way for JotForm to recreate the submission without the user's action. In any case, let us observe if she's able to submit or if you receive the same submission again. Should it repeat, please let us know. We had another submission today from the same person - while we had Unique Submission (cookies only) set. I have just emailed the poor form filler and am offering a present to her if she will work with us to resolve this. She has previously told us to 'go away' (a lot less politely than that) as she is so annoyed by it all. As we are not the only Jotform users who appear to be experiencing this problem I guess you would like to see it resolved quickly too. 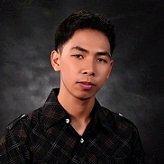 Is there anyway to block a specific IP address from completing a form? You can try to set the Unique submission to Check cookies and IP instead and see if this will help fix the issue. 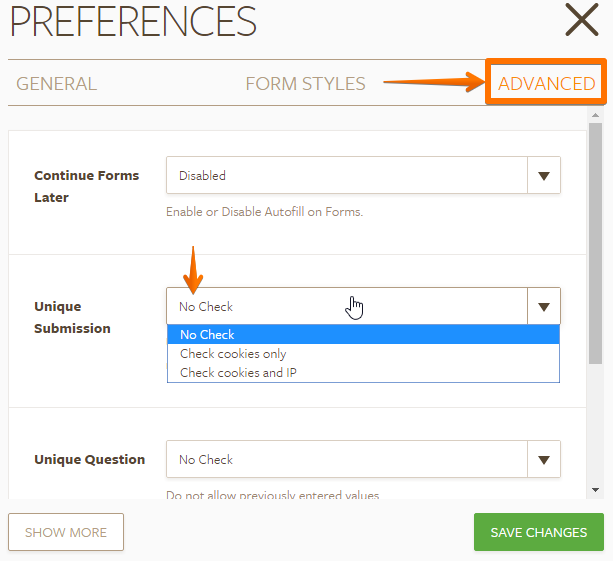 For more information, you can check this guide: How to Set Unique Submissions on a Form. If the issue still persists, do let us know so we can further check the issue.